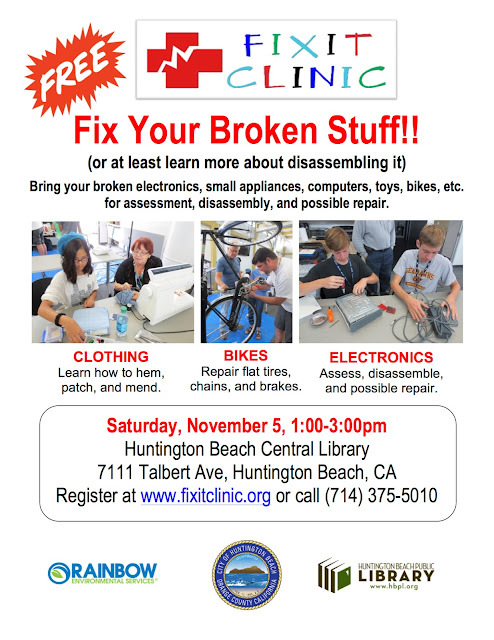 Huntington Beach: Debbie Killey and her Fixit Coach crew are back again at the Huntington Beach Library. 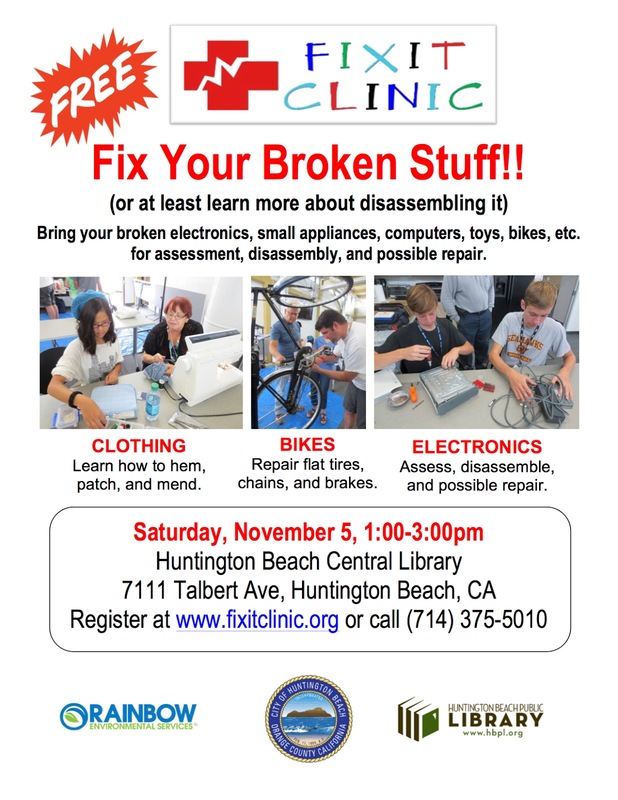 So Nov 5th is going to be one busy Saturday for Fixit Clinics! Hope you can make it to one of these grand events. 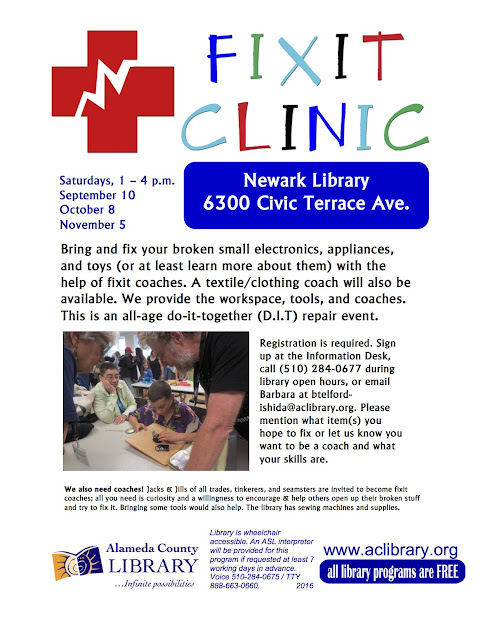 Wow, we've reached 180 Fixit Clinics! 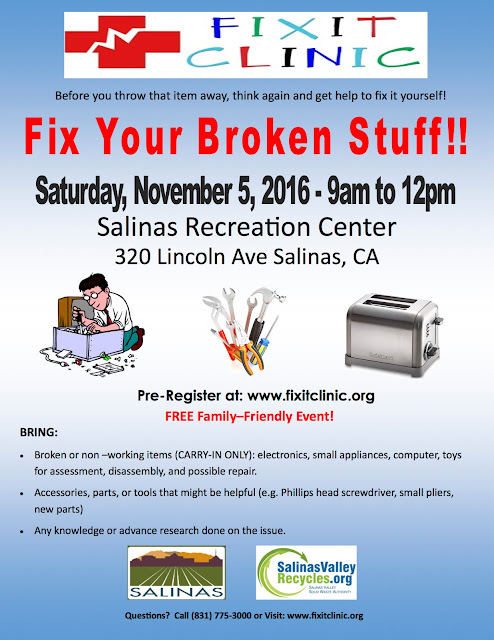 Saturday's event was held at one of our favorite locations, the City of Albany, California's Library and Community Center. There was a clothing swap going on in conjunction with the Fixit Clinic so a lot of clothes found new life through both repair and new owners. They brought the same scale in different colors, both were fixed. 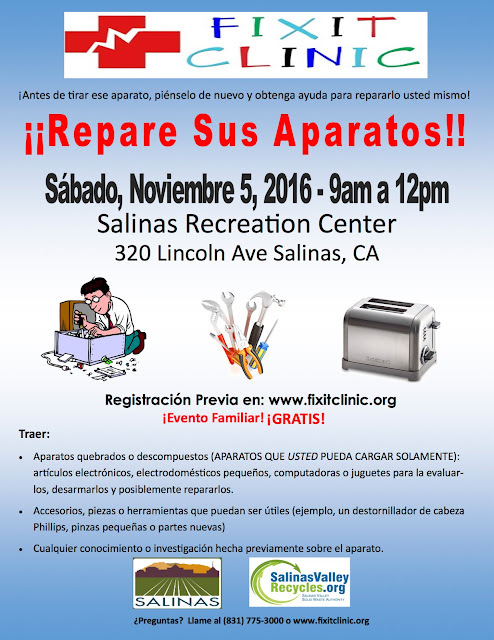 Tess was determined to get her iron working again, and she did! 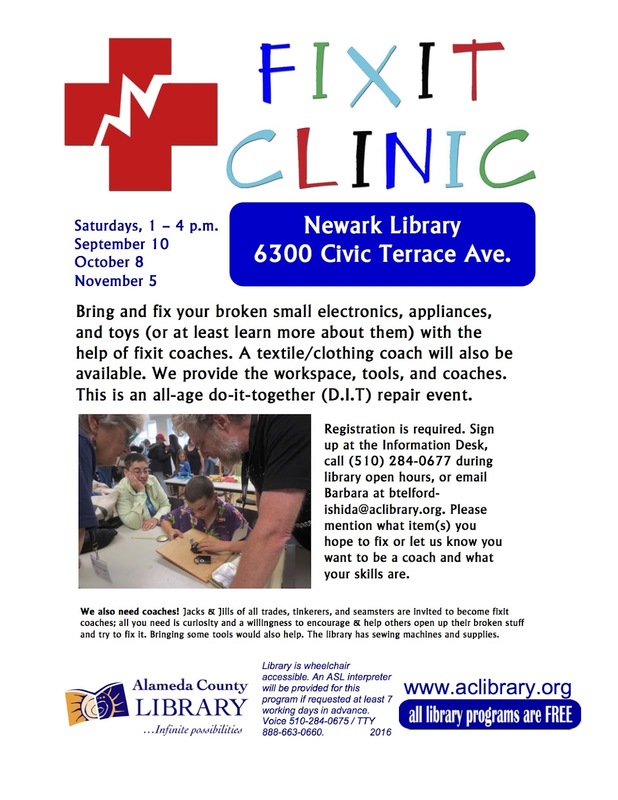 Many thanks to Pam for organizing the clothing swap, to Ryann, Sarah, CC, and the others from Swap-O-Rama-Rama for providing their sewing acumen, to the City of Albany for hosting us, and to www.stopwaste.org for sponsoring us.